The gaming community has largely driven recent advances in personal computing and most of the high-end consumer components today are targeted at gamers. LCD monitors became a hot commodity due to the slim profile and light weight, making them ideal for carrying and transport. However, one of the longest issues dodging LCD monitors is their inability for a low latency, fast pixel response time, which is responsible for the infamous ghosting effect. With a sub-1ms response time for an average CRT monitor, you can see why there has been a slower adoption of LCDs for entertainment purposes, especially for gaming. As 12ms LCD panels have just begun to take over as the performance models, manufacturers have already announced their 8ms lineup. BenQ seems to have beaten the competition to the punch as they debut the world's first 8ms LCD monitor, the BenQ FP71E+ 17-inch TFT LCD. BenQ is one of the younger brands in the market, but has been making a name for itself through the rapid insertion of their products in the market. They have managed to stay abreast and gain recognition by pushing out new products and technologies at a higher rate than most. However, they do not seem to be an OEM manufacturer valuing quantity more than quality. Our recent reviews of their products actually show rather high standards and performance levels. Read on as we now take a look at their latest and greatest, the FP71E+. 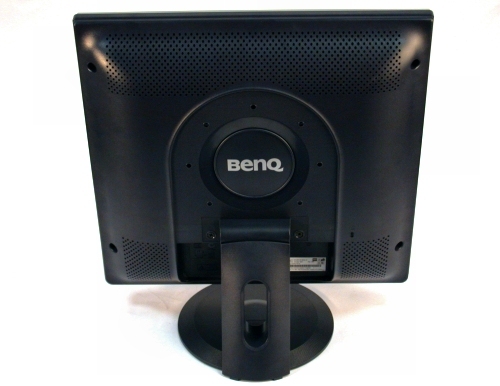 The BenQ FP71E+ 17-inch TFT LCD monitor. 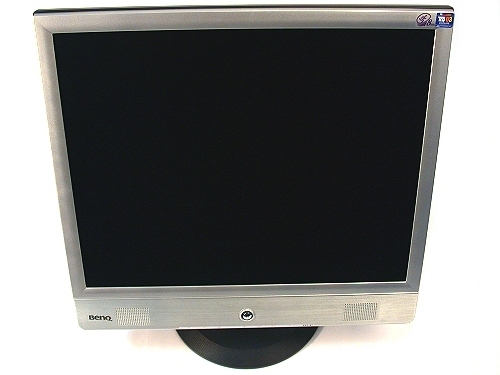 Rear view of the BenQ FP71E+.